Hasbrouck, Donald M. Age 85 of Cedar Falls, IA died March 28, 2016. 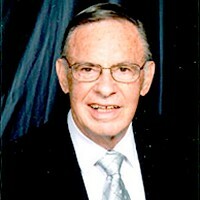 Don was devoted to his faith, family and friends. He had a long career in Bloomington Public Schools where he was counselor & vice principal at Olson Jr. High and principal at Kennedy High. He's survived by his wife Marilyn Hasbrouck; son Douglas (Faye) Hasbrouck of Salt Lake City; daughter Cynthia (Jason) Schultz of Albany, NY; daughter-in-law Kris Hasbrouck of Apple Valley; step sons William (Marsha) VanSant of Minneapolis and David (Mary) VanSant of Chaska; step daughter Kathy (Kevin) Hinders of Superior, Wisc. ; grandchildren and great grandchildren. Don's preceded in death by his parents, sister, first wife Helen and his eldest son Steven. Funeral service Fri., 11AM at Nazareth Lutheran Church in Cedar Falls, Iowa. Visitation Thurs., 4-6PM at Dahl-Van Hove-Schoof Funeral Home in Iowa. A casual Celebration of Life on Sat., 1-4PM at Knights of Columbus in Bloomington. Memorials may go to Minn. Brain Injury Alliance in honor of Steven Hasbrouck.